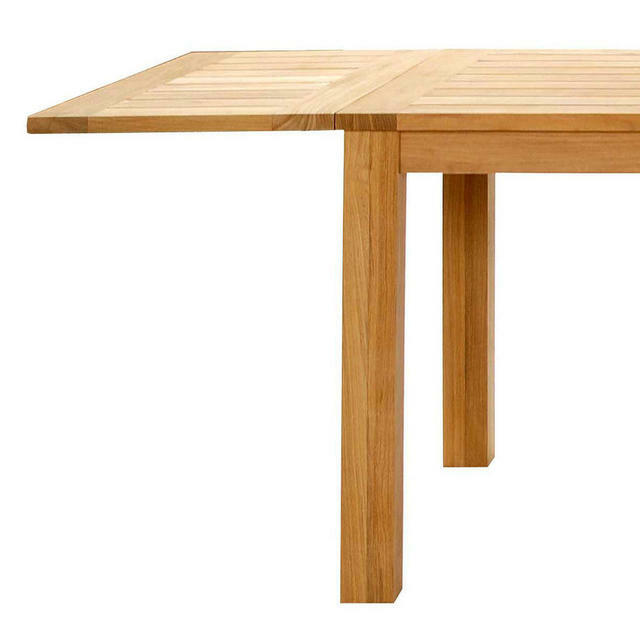 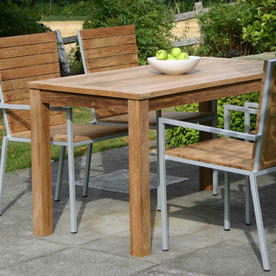 Classic tables with contemporary styling for relaxed outdoor dining. 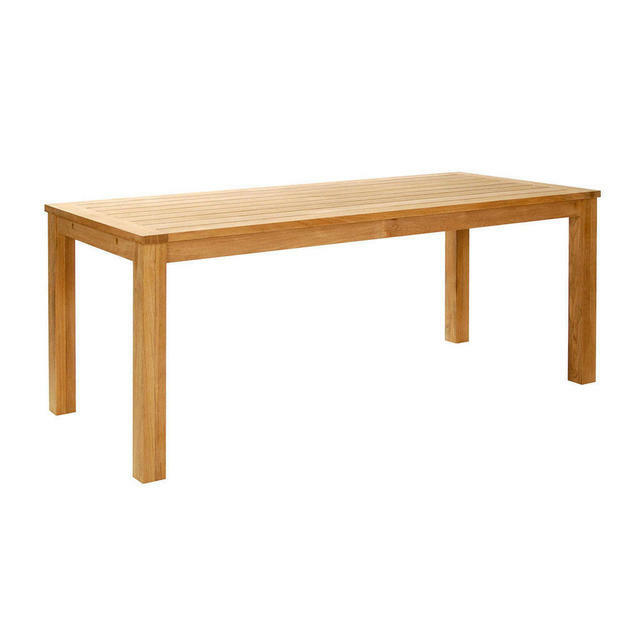 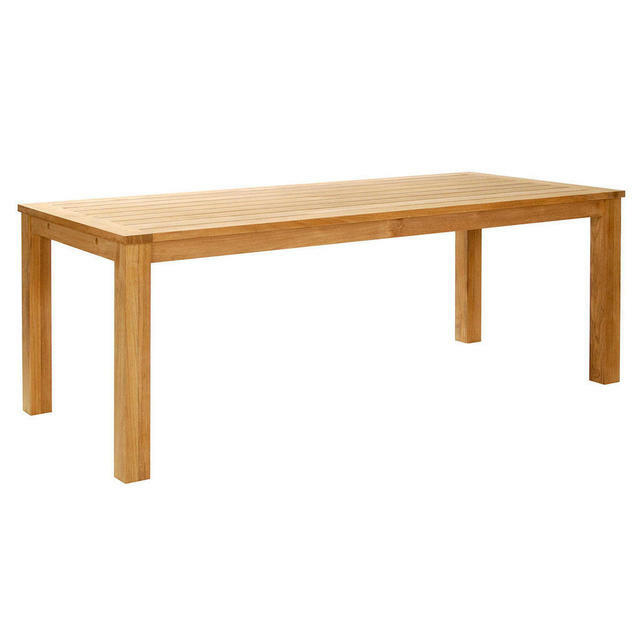 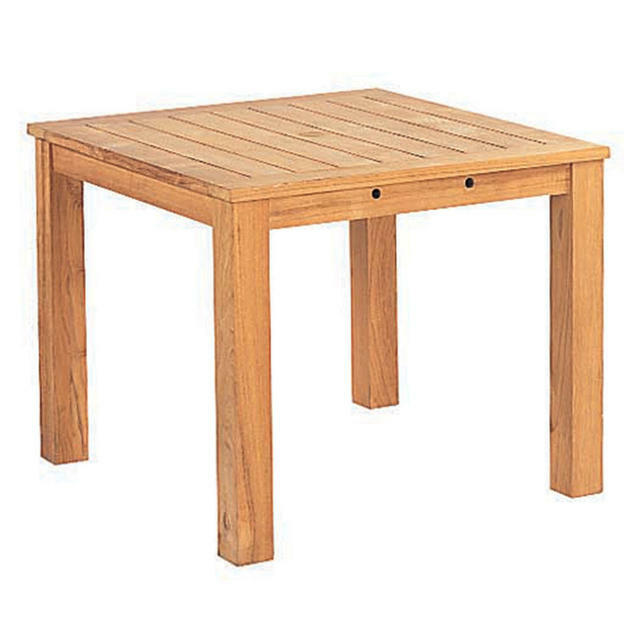 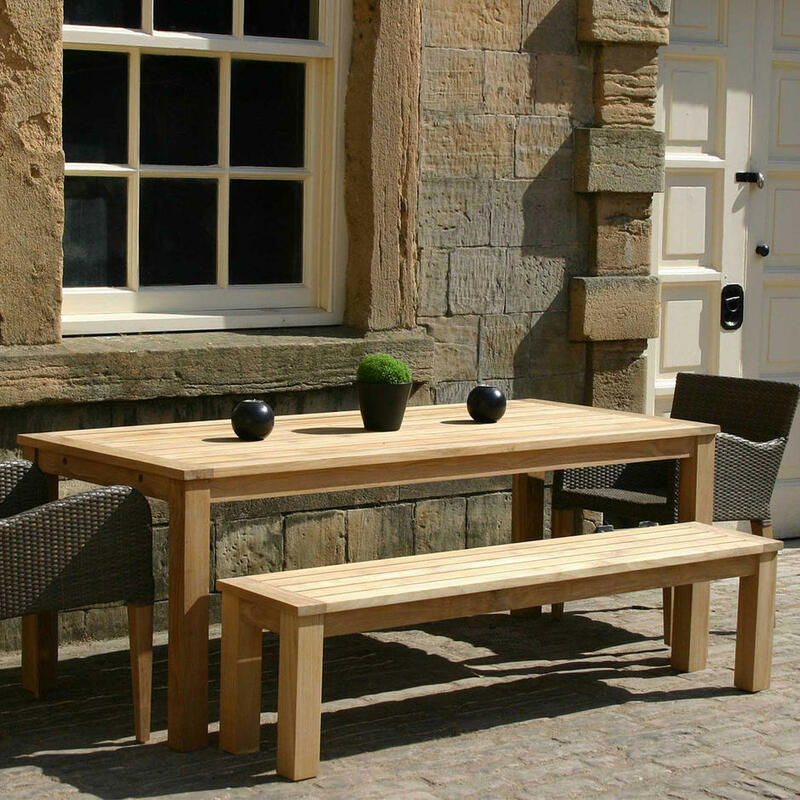 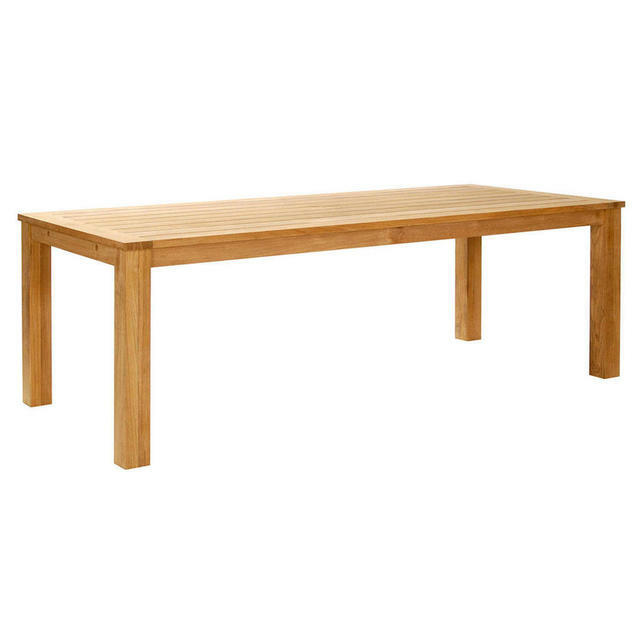 The Antibes teak canteen style tables are simple and versatile, they work perfectly with the Antibes teak trestle benches for informal family or alfresco dining. 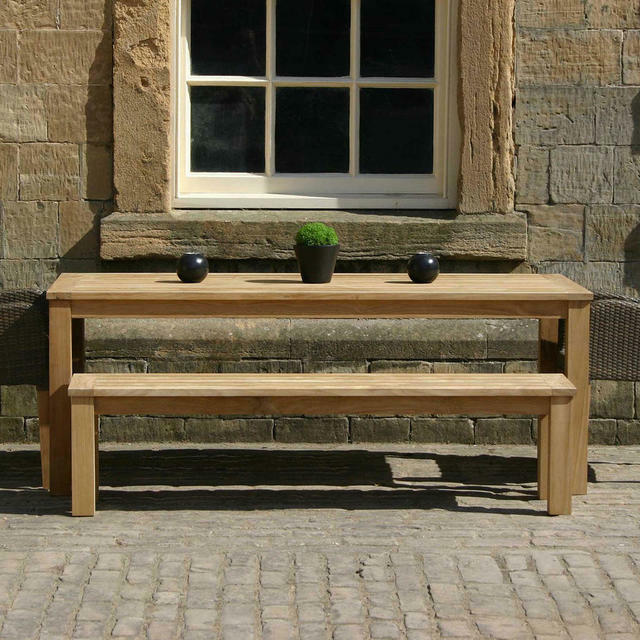 Teak benches are available in the Antibes collection, the benches will work with the 2 larger sizes of table. Or alternatively the tables are simple and classic enough to be paired up with chairs such as the Savoy chairs or the Classic Chairs. Table extensions are also available separately, please order at the same time as ordering the table. 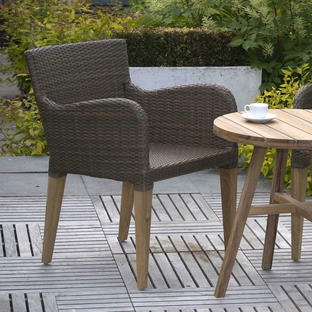 The tables have parasol holes with a teak stopper, the diameter of the hole is 50mm. 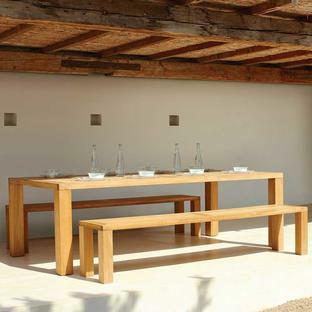 Separate table leaf extensions are available to fit each table, you can decide whether to add 1 or 2 leaves to each end of the table. Each leaf will add 42.5cm onto the length of the table. Please Note: these are sold singly not as a pair. 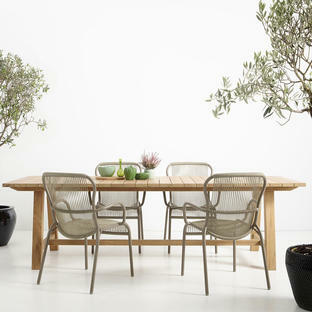 The leaves have stainless steel bars which simply slide into the table slots at each end.